Dal also known as lentil, pea is a dried pulse which splits from the outer hull. It is an important pulse regularly eaten with rice in southern India. Dal is a rich source of proteins for a balanced diet containing almost no meat. The word pulse is derived from a Latin word also known as grain legume. Pulses are a source and part of food for humans and animals. Pulses include: dry beans, kidney beans, dry peas, lentils and others. 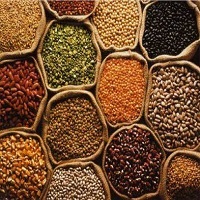 India is the largest producer and consumer of pulses. Pulses provide protein, carbohydrates and several vitamins and minerals. The main reason for adulteration of dal is Metanil Yellow. It is a non-permitted food color used broadly in India. Metanil Yellow is basically used in dal as an adulterant for coloring which causes a long term effect of neurotoxicity on adult brain. Adulterants in pulses include: sand, marble chips, stones which affects the digestive tract. It sometime contains Asbestos in powder form causing cancer.